El Taj is the proud recipient of the 2014 & 2013 TripAdvisor’s Travelers’ Choice Award for top hotels in Mexico. 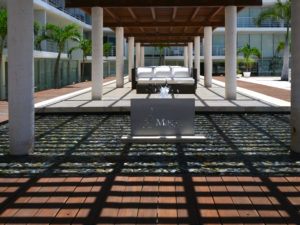 It was also chosen as one of the top luxury hotels in Mexico, in addition to one of the trendiest hotels. Playa del Carmen has no other hotel that has won all these top three categories. El Taj has also received recognition from The New York Times and USA Today for its design, luxury, and excellence in service. We are not an all-inclusive Ritz-type resort, but we are considered to be the best of the area’s hotels. Playa del Carmen has a lot to offer, but nothing compares to El Taj. El Taj’s luxury units have one to four bedrooms that feature huge living rooms and fully equipped kitchens with private outdoor Jacuzzis on many terraces. El Taj offers 57 spacious units in total, situated on two separate sister properties. If you are looking for a unique boutique-style hotel, Playa del Carmen’s Maya Villa is just for you! At Maya Villa you will enjoy a unique combination of modern luxury and Mayan magic in a tranquil setting. This beautiful resort is located steps from our trendy Indigo Beach Club, and one block from the famous 5th Ave. 17 spacious condominiums are nestled among lush vegetation that makes this hotel your own tropical oasis. Some of the penthouses also offer spectacular views of the Caribbean Sea, which is just one block away. Enter through the great Mayan arch, and find yourself in the midst of lush plants, flowers and cascading waterfalls. Once you enter the courtyard, you will be surrounded by authentic Mayan art, handcrafted by the region’s most talented Mayan artists.Our sparkling, gecko-shaped river pool is made of jade-colored mosaic glass, which is why it’s called the Jewel of Playa. Best of all, the pool is heated year round, which makes it ideal during the day or night. We are ideally located in the Premier Zone of Playa del Carmen, one block from the famous 5th Avenue, which boasts the best restaurants, nightlife and shopping within your reach. We have 1, 2 and 3 bedroom luxury units with expansive living rooms and fully equipped kitchens. Our exclusive rooftop penthouse suites offer outdoor BBQ kitchens and private rooftop terraces. The full list of luxurious amenities that you will enjoy while staying at Maya Village is listed below. We are the ideal choice for couples, friends, families and wedding groups. 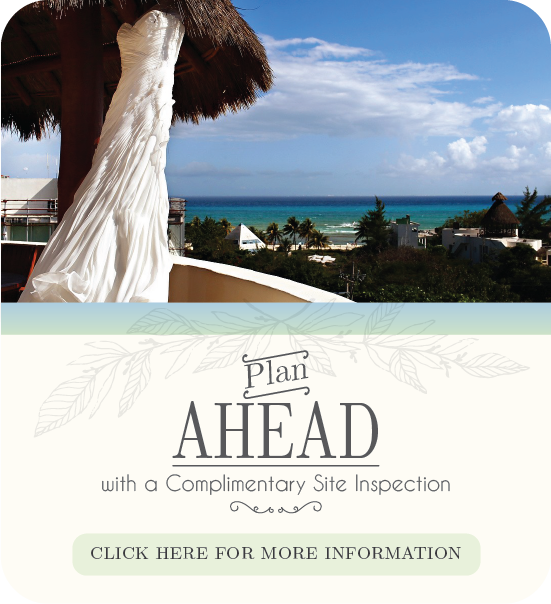 Playa del Carmen, Mexico truly is a beautiful destination for any occasion, so contact our hotel today to start planning your vacation! When you are looking for a luxury hotel in Playa del Carmen, Porto Playa provides the perfect vacation combination of beautiful accommodations, a private Beach Club and the liveliness of the Mexican Riviera nightlife. Featuring a tropical architectural influence with 21 luxury units, Porto Playa is set in an oasis reminiscent of a rain forest. It has a very airy and open design inside a private sanctuary with lush tropical plants and flowers and gushing waterfalls. When you are looking for a luxury hotel in Playa del Carmen, Porto Playa provides the perfect vacation combination of beautiful accommodations, a private Beach Club and the liveliness of the Mexican Riviera nightlife. Featuring a tropical architectural influence with 21 luxury units, Porto Playa is set in an oasis reminiscent of a rain forest. It has a very airy and open design inside a private sanctuary with lush tropical plants and flowers and gushing waterfalls. There is even a sun-drenched roof-top swimming pool the length of a city block and a second pool with two separate Jacuzzis. Best of all, the pools are heated, which makes them ideal for our chilly winter & spring nights!Porto Playa incorporates its own restaurant and state-of-the-art gym and Health Cafe right on the premises. We are centrally located in the heart of Playa del Carmen, Mexico just one short block from our trendy Indigo Beach Club and one block from the famous 5th Ave. If you are looking for a boutique hotel, Playa Del Carmen’s Villas Sacbe is just for you! At Villas Sacbe Condo Hotel, there are five select units managed by Condo Hotels that offer the luxury services and amenities you expect from a full-service hotel. These are the only condos in Villas Sacbe Condo Hotel that are part of the Condo Hotels management brand, making them the ideal option when you want the complete resort vacation experience. This includes daily maid service, complimentary use of our exclusive beach club and complimentary use of our state-of-the-art fitness club, located one block away (see our entire list of amenities below). Villas Sacbe Condo Hotel features a unique plunge pool set inside a tropical courtyard. Each unit features its own unique characteristics, such as a private plunge pool, palapa (thatched) roofs and limestone walls right inside the rooms. What makes Villas Sacbe so unique is its ideal location: Everything is at your fingertips, yet it is tucked away in a tropical oasis. The location of the hotel provides the essential mix of the most beautiful beaches and the liveliness of the Mexican Riviera nightlife, providing for a perfect vacation. All the hottest nightclubs are just half a block away. Some Penthouse units offer spectacular unobstructed views as Magia is only a few steps from the beach. Don’t be misled as only select units in Magia are part of the Condohotel brand and only these units include the exclusive amenities listed below! We’ve upgraded all the units managed by Condohotels with luxury amenities that rivals any luxury hotel. All condohotel guests receive complimentary use of our elaborate fitness club “The Gym” located directly across the street from Magia. Please note the Gym privilege is only available to guests who book these specific units! We offer spacious 1“ 3 bedrooms that feature extra large living rooms and fully equipped kitchens with private outdoor terraces and garden apartments that includes elaborate private outdoor verandas (see description of each unit). We provide 24/7 reception services and our staff is always eager to insure that all your needs are provided for.